Tonight I started scrapping without having a process video in mind, and just scrapped for me. I saw the Scrapping Clearly challenge sketch and thought I'd give it a go. I wanted to give it a go and I picked a photo to trim down to 4x4. I'm not usually one to layer like this- i don't usually like it. But I wanted to try this sketch and make it work for me. I used some distress stain to create my splats and let them run down the page. I love the messy grunge look. 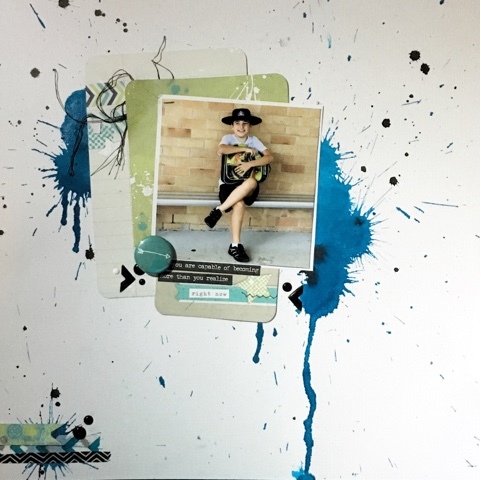 Then I applied my layers- using my pocket page cards. My "title" is made of very small phrase stickers- I thought I'd try something different and I just love it :) it suits the picture we'll. It says "You are capable of becoming more then you realise." Wow Chrissy, I love it, it's perfect!!! Thanks so much for playing along at Scrappingclearly! Cool Layout Chrissy, loving those splats . 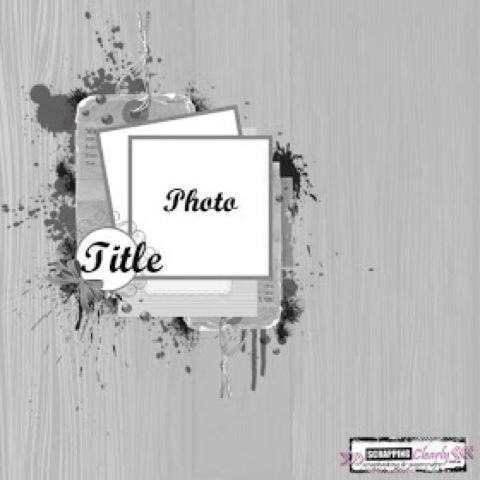 Love that fun background and your idea for your title!! Thanks for playing along with us at SC!